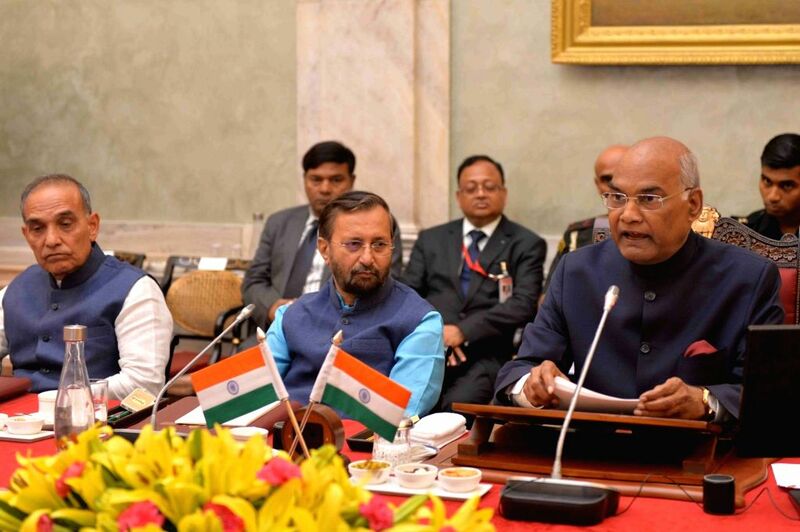 New Delhi: President Ram Nath Kovind addresses during a meeting with Directors of NITs, IIEST, SPAs, IIIT and IITs(PPP),in New Delhi, on July 19, 2018. Also seen Union Human Resource Development Minister Prakash Javadekar. 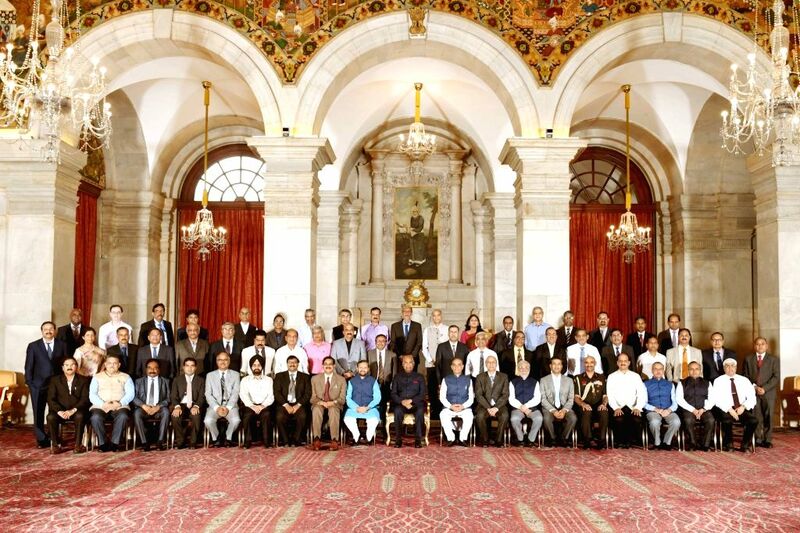 President Ram Nath Kovind during pose for a group photo with Directors of NITs, IIEST, SPAs, IIIT and IITs(PPP),in New Delhi, on July 19, 2018. 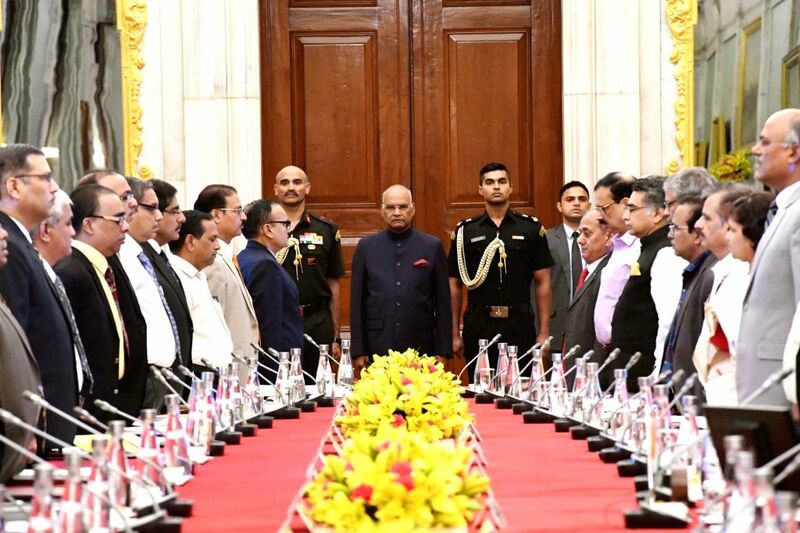 President Ram Nath Kovind chairs the meeting with Directors of NITs, IIEST, SPAs, IIIT and IITs(PPP),in New Delhi, on July 19, 2018.